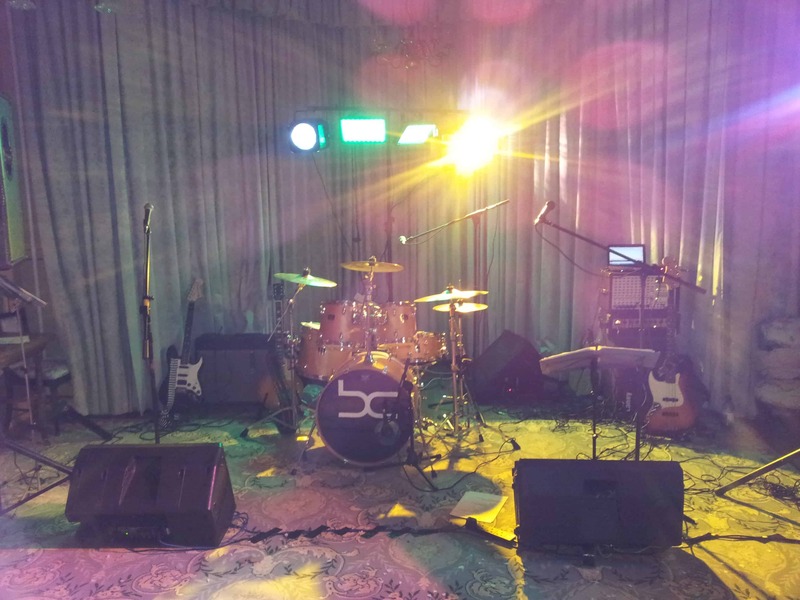 Are you worried that the function room you have hired for your wedding reception or party isn’t large enough to host your guests AND a live band? One of the advantages of hiring HARD TO HANDLE BAND (apart from the superb live music) is that our set up is remarkably compact, as you’ll see from this photo taken from a recent wedding reception. We set up in a bay window alcove which was just over 15 feet wide, and to be fair, we would have had room to make our set up even smaller if required. Very few bands can perform in such a compact environment, which is why we’re perfect for small to midsized functions! Contact us to talk about available space at your venue or indeed any other aspect of planning your big day or event.